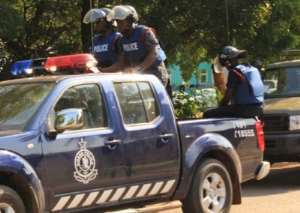 According to the Oyibi Police District Commander, Superintendent Suzanna Adjei, although they have about 40 police officers, they don't have vehicles to aid in patrol duties. “Currently, we don't have even one vehicle. When I was posted here, they had a vehicle which had been parked for over one and half year. We wrote to the administration, I still do follow-ups, but I was told that they don't have. I was asked to resort to the spoilt car and look for a mechanic to fix it,” she added. “And when they were done they bolted. It was a very terrible thing that night and up till now, I've not been myself. It is a very horrible thing for someone to experience,” she recounted. “I haven't heard anything about it since then,” she added.